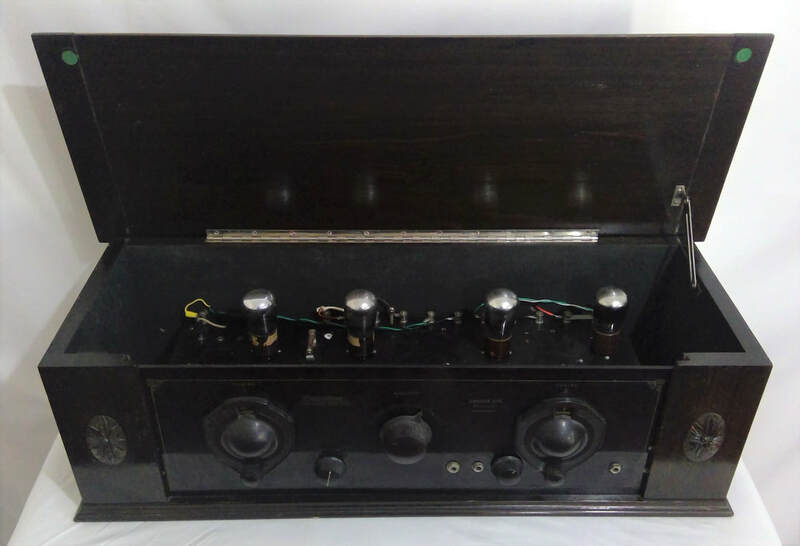 c1928, model 4 Valve, radio receiver manufactured by Wellmade Ltd, Auckland, New Zealand. It is a TRF battery operated with 2 stages of RF amplification. The style is a box table mantle, wooden case construction. Dimensions (HWD) 270mm x 830mm x 310mm.